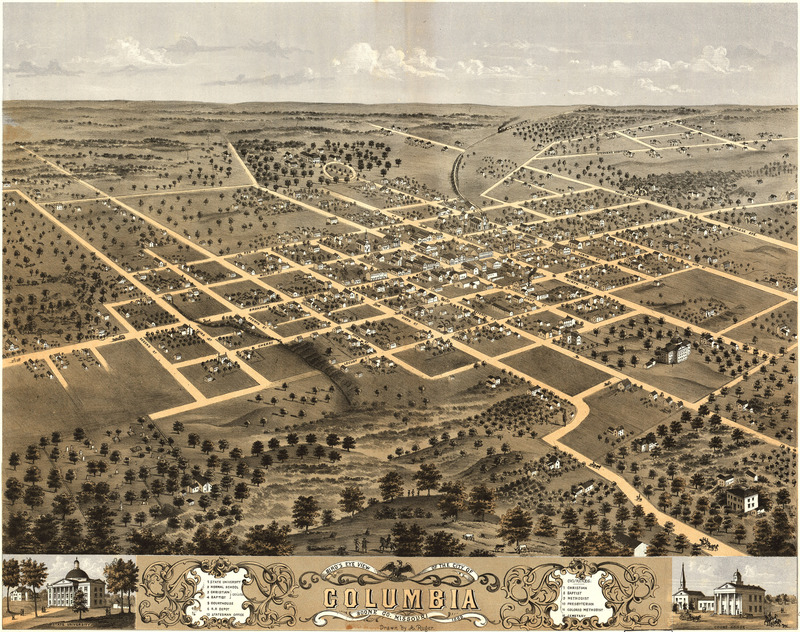 A. Ruger’s Birdseye map of Columbia, Missouri in 1869. This map isn’t part of any series, but we have other featured maps that you might want to check out. Here’s the town where your Big Map Curator the 59 King went to school; I spent six years at the University of Missouri in Columbia, Missouri [gmap]. In six years, a person might find himself or herself with a couple degrees, or one really useful one — but t59K didn’t end up with either. Seems like a lot of people running a lot of hustles in higher-education. 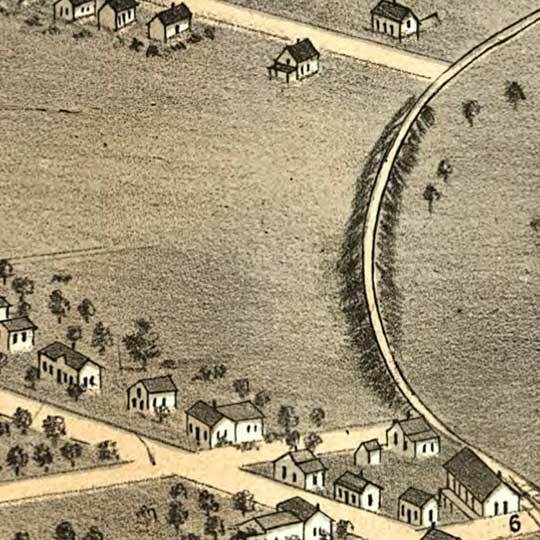 For more maps and images from this period in the region’s history, visit the Missouri History Museum.